Drawing app for pixel lovers (Rastas), update coming in a few days. Just released my first app Number Bounce! The app is designed for kids to help them with basic mathematics. I designed all of the game functionality in Codea before adding text to voice and email functionality in xCode. A big thank you to everyone on these forums - you have no idea how much your posts helped me complete the game! Happy to post code if anybody needs it. Check out https://www.facebook.com/pages/Divergent-Thoughts/1413985562190751 for promo codes. Edit: Number Bounce is now universal! I am french. Here is my app. A chess game for two players. Thanks for advice offered in these forums. Here's my 2nd Codea game - PONGO - this time in portrait mode, iPad only. I just released my first game called Mighty Mower. It's free and live on the App Store. Thanks to everyone who helped out with me learning how to code, for their patience and for expertise! Version 1.0 is out now. @Majormorgan that is just to funny. Awesome idea! My first game, Pachinkoos, based on my winning entry in the Codea cook off is now available on app store: https://itunes.apple.com/us/app/pachinkoos/id840433563?ls=1&mt=8 - download it while it's free! Massive thanks to all the beta testers and also to @Mark for hosting the competition and giving me the push required to finish a project! I sticked to the KISS (keep it simple, stupid!) principle and it worked pretty good. What do you guys think? @bushmin That's an interesting way to get people to try your game. "Only 1 of 10000 men get's more than 500 points". I haven't tried it yet, but it sounds interesting. @escape75 Could you allow landscape orientation the other direction? With my keyboard up the screen is locked upside down. @escape75 A'maze is a brilliant game. Keep it up! Weird! What hardware are you running on? Are your other games working fine with Game Center? Also what OS, is it IOS7? Does Beelicious work actually work, hmm? @Leon Ok, I wonder if that's something with Codea 2.0 runtime, hmmm. Is that IOS 6.0 or 6.1 just so we narrow it down? 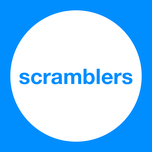 Sorry to double post, but Scramblers is now in the store! I don't have a video, but its free so if you're interested you can just download it! The tutorial and the instructions is a blank screen. 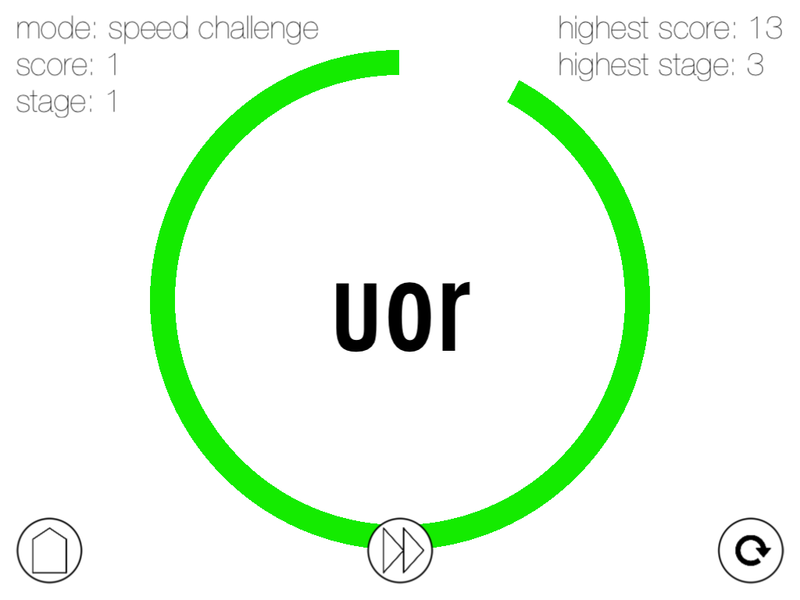 On the normal mode, I can see no benefit of solving longer words in terms of points. A better strategy is to use your skips to reset the anagram length and this makes it a bit endless. A personal thing, but I'd prefer the letters to be capitals. Make the longest word you can from 9 randomly selected letters before the clock counts down. Play against the CPU on increasing difficulty levels. Beat the hardest level to unlock MIRROR mode, where the CPU difficulty is based on your own performance. The CPU adapts to your ability ensuring a fresh challenge each time you play and getting tougher as your word mastery increases! We also released the talk of the town topic iSpot Talent.. last week - have a look at it.. I need expert reviews - help me. @abigailscotty How did you manage to make that app available for Android? @kirorp Löve2D isn't for mobile, it's only for Windows/Mac/Linux. @SkyTheCoder - If you read my post fairly recently, there is a löve2d-android port (made by a 3rd part developer) that would make it easy to port eh LöveCodea thing to that. So yes, @kirorp was right. @zapaper I'm your new fan! Excellent game. could someone give me the link to LöveCodea and the android port? Is this the right link or what do I have to use to port my game to android? Are these the right links? @Lean - Yes. Sorry I didn't get you the links earlier. 30 Balls is out! Whoooooooo! Check out this thread or this site for more info on what it is. @JakAttak great game, just downloaded it! It looks like you might have a hacker on your hands though(the #1 score on the leaderboard). @JakAttak nevermind, I just got over 700,000! I don't think he's a hacker anymore. I made a "game" called Zen Wavez, it's still in progress but it's on the App Store. Works good with iPhone, but ironically horribly with an iPad. Please stop saying things such as "nice" or saying your scores or that you downloaded the game. Please say that stuff on the actual thread for the app. Thank you. Hi, guys released an app on Monday called ColorCycle. 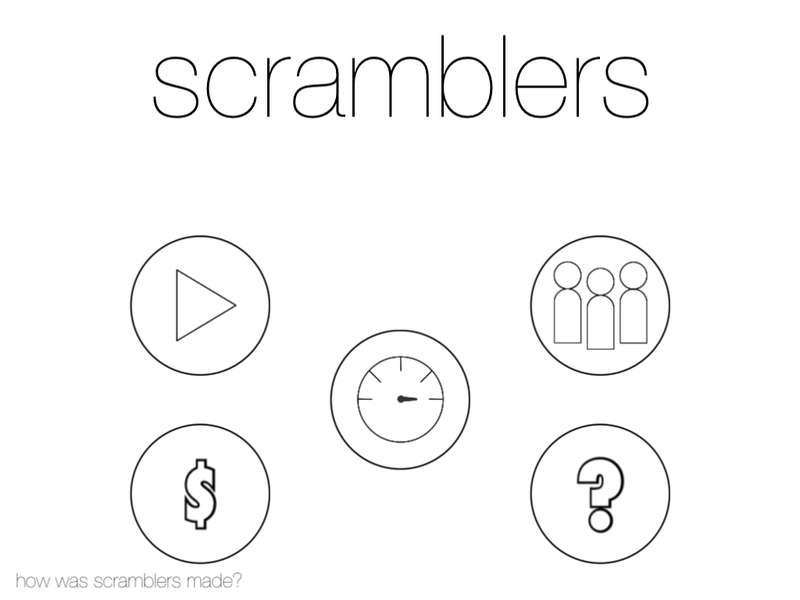 Thanks to everyone, I was able to release an app on the app store! Break Free is available right now! Break Free delivers a simplistic yet challenging gameplay experience centered on flicking balls. Challenge yourself and your friends as you flick your way to the top by trying to hit oncoming balls. For every ball you hit, you receive one ball and one point. Flick your balls off the bottom to receive twice the points and balls! Once you accumulate 20 balls, you will receive a bonus 2x multiplier! Are you ready to break some balls? Are you ready to Break Free?